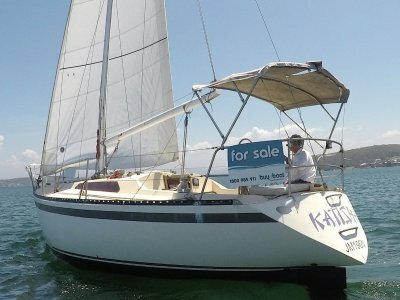 If you are looking for a yacht with great internal volume that is great under sail then look no further! The Jarkan 10.5 has an unbeliveable amount of internal space and offers great privacy with its large V-berth and absolutely huge aft cabin. The 6 person dining table converts to another double bed for extra guests. The 6'6' head room makes this boat fantastic for living aboard, and adds to the spacious feel. 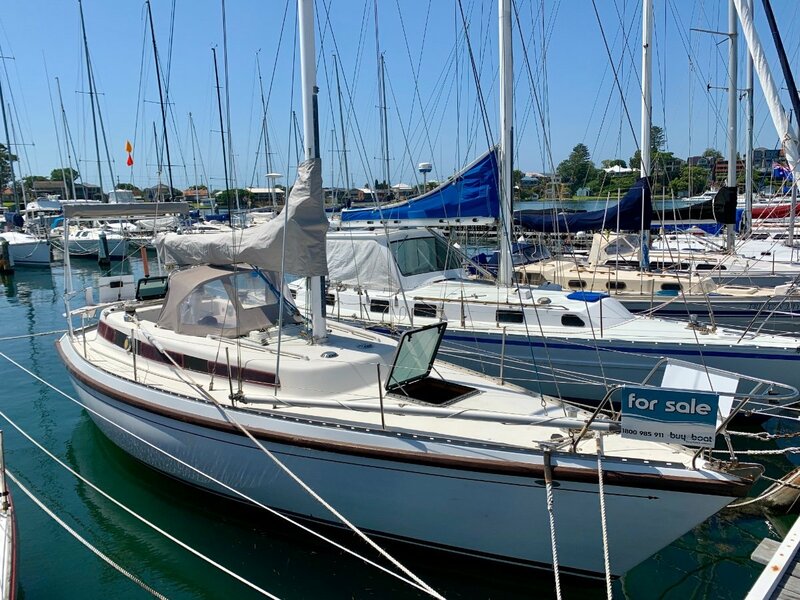 The kitchen has a large electric fridge and oven/stove, the saloon has an abundance of storage, there is a good sized chart table, and the passage to the aft cabin closes off into the head, giving a large bathroom without losing space when not in use. This boat is a great club racer, and has many race wins under her belt. 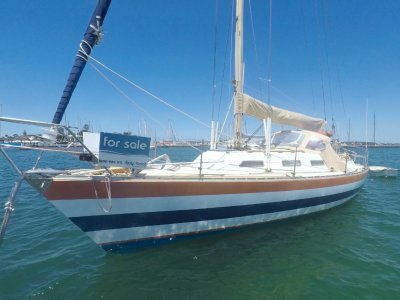 She comes with a good inventory of sails and the engine has been recently serviced. While the rigging is older the boat has spent her time on enclosed waters so the rig has not done much work and is still in good condition. 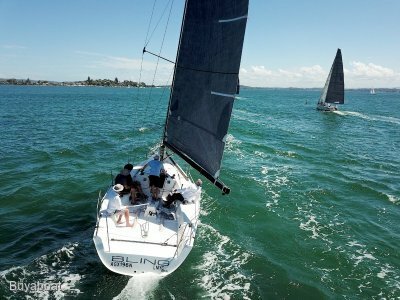 This boat is perfect for anyone looking for a club racer, family cruiser of spacious live aboard. She has been lovingly maintained by her owner for the last 16 years and presents very well. Call Tony on 0424 842 222 to organise an inspection. Good sized galley with plenty of storage. Available seperately: rail mount magma Newport Gas BBQ. Standing rigging 12 years old, good condition, hasn't done much work. 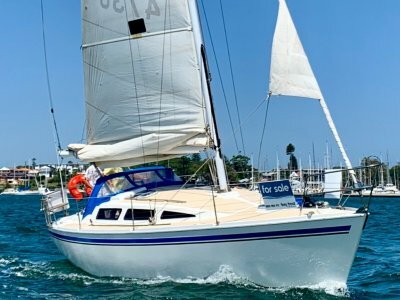 This boat is a jack of all trades and will give her next owners many years of sailing pleasure! Call Tony on 0424 842 222 or at tony@buyaboat. Com. Au to organise an inspection, you wont be disapointed!